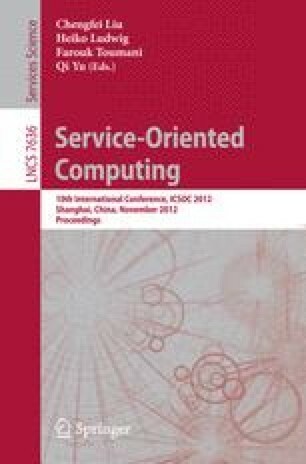 We study the problem of optimally scheduling tickets in shared delivery of IT services. Such delivery models are characterized by a common pool of skilled agents who collectively support the service needs of several customers at a time. The ticket scheduling problem becomes interesting in this scenario due to the need to provide satisfactory experience to multiple customers with different Service Level Agreements (SLAs) in a cost-efficient and optimal way, by intelligently leveraging the available skill set and balancing workload across agents. We present a detailed description of the problem domain and introduce a novel metric for estimating the relative criticality of tickets from different customers at any point in time, taking into account several factors such as the distance from SLA breach, the SLA penalty and the expected volume of tickets during the rest of the service time window. This criticality measure is used within a Mixed Integer Programming (MIP) based solution approach to the ticket scheduling problem, where we consider the objectives of SLA penalty minimization, balancing breaches across customers, load balancing across agents, and maximizing skill match. Due to the complexity of the problem, optimization engines may not always return feasible or efficient solutions within reasonable time limits. Hence, we also develop a custom heuristic algorithm that returns acceptable solutions very fast. Detailed simulation experiments are used to compare these approaches and to demonstrate their efficiency in meeting the scheduling objectives of shared delivery.